Die Cast X brings together award-winning journalists, renowned photographers and industry pros to capture the spirit of diecast like never before. It takes an insider's look at the history behind popular diecast cars and trucks as well as how each model has helped shape the automotive industry and motorsports. 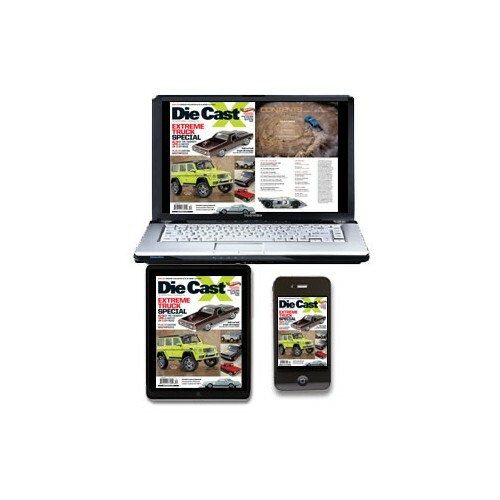 When you purchase a subscription to the digital edition of Die Cast X, you get access to the digital magazine via the browser edition and the App edition. 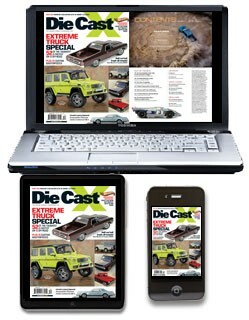 Subscribers can log in on the DCXMag.com home page as well as download the free app from Apple's App Store and sign in to access Die Cast X on an iPad or iPhone.